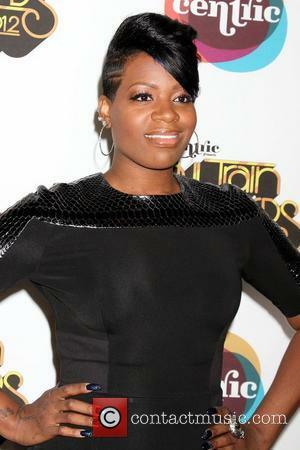 Singer Fantasia Barrino has renewed her vows with husband Kendall Taylor. The American Idol star became Mrs. Taylor in July, 2015, but the couple chose to repeat its vows again in a ceremony held over the holiday weekend (24-25Dec16). "I Love You so much that I'd do it over and over and over again!" Fantasia captioned an Instagram photo of herself wearing a white wedding gown. "When I met You, I just never knew!! It's almost like I may have known you in another life. Like this love has happened before and that's how it works so well between us because we've been here before. So we did it AGAIN!! The right way.. so....Yes I DO." Fantasia also shared a few more shots from the event, which appeared to be a lavish affair. In two other pictures, the 32-year-old singer is seen posing in a fitted dress with a sheer back panel, which featured a sweetheart neckline. In the background, fans were given a glimpse of a venue decorated with blue and white flowers. "Second time around," she wrote alongside the photos. "You are my Gift EVERYDAY BABY. I Do." While it's not clear what she meant by getting married "the right way," Fantasia has since changed her last name on Instagram from Barrino to "Taylor". For Fantasia, who is mother to daughter Zion, 15, and son Dallas, five, from previous relationships, the vow ceremony wraps up a busy 2016, which included the release of a new album, The Definition Of... in July (16). Next year (17), she will tour with R&B veterans Charlie Wilson and Johnny Gill on the In it To Win It Tour, beginning from 8 February.